I am not at liberty to reveal my sources, but I can assure you, the price on your head is high. I originally planned on a more midrange strategy with beatsticks and whatnot, a pretty normal Commander deck. However as I tested and got feedback from other users it became increasing clear that cheap creatures were the key and the fastest way to close out games was Time Walk effects. So the creatures got lower and lower in converted mana cost to the point where we were all cutting Consecrated Sphinx and Primeval Titan for Flying Men and Scryb Sprites. Elvish Pioneer became a better turn one play than Sol Ring. Skullclamp didn't draw cards fast enough, Unified Will vastly outperformed Forbid and Spiketail Hatchling emerged as one of the most powerful cards in the deck. In my effort to build a goodstuff commander deck something had gone horribly wrong, I had ended up with a badstuff deck. A deck with cards so bad it had Zodiac Rabbit saying "put me in coach!". Despite the truly abysmal card quality the deck proved to be very powerful and got benched by many of the people testing it. The building of this deck was very much a community effort and I encourage you to read the credits at the bottom as well as reading through the rather long thread if you'd like to know more about the history of the deck. The idea here is to play as many 1 drop evasive creatures as possible, some ramp to play Edric early, lots of counterspells and a handful of Time Warp variants. The early creatures give you a board presence and the turn you drop Edric you should draw a couple cards. If you are able to untap in this position you can begin to build your board presence with cheap creatures while protecting your army and Edric with Counterspells and drawing increasing amounts of cards. Turn 4-5 will hopefully be a Time Warp and from there you simply draw into more Time Warps/Regrowths and keep drawing until you hit a Notorious Throng or Beastmaster Ascension and win the game. An alternative option that's less explosive but has a much better game plan for later in the game is Wildfire393's list which can be found here. For something a little different NoDestiny has a pauper build here and Alexandre has a pauper build of the deck here. Would I like this deck? 1. Playing an aggro/tempo strategy in Commander. 2. Using really terrible cards to win. 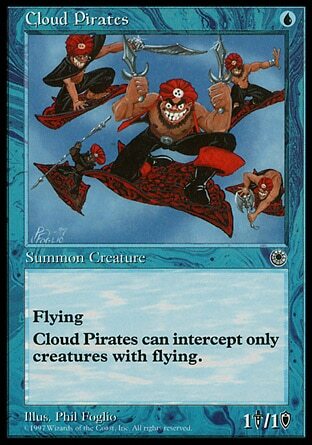 This deck plays Cloud Pirates and they're really good. 3. Drawing a ridiculous amount of cards. 4. Rogue decks and unique strategies. 5. One drops. Lots of one drops. 1. Playing without powerful staples. 2. Playing a deck that is completely reliant on the commander. 3. Playing a deck that is easily hated out with specific, narrow cards. 4. Having your biggest creature be a 2/2. 5. Being unable to deal with resolved permanents. 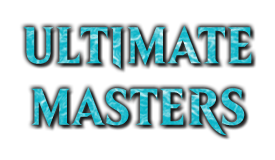 Given that the deck is built around Edric, Spymaster of Trest and his unique ability there aren’t any direct replacements that can be used to make the deck function the way it’s currently built however there are other options that are similar to this deck in many ways. Derevi, Empyrial Tactician – This is the most direct replacement keeping both colors and adding white. His ability is very tempo focused and can use a similar base of weenies, though probably not the volume I play here. I would expect the list to focus more on prison cards like Stasis and Winter Orb to take full advantage of Derevi’s ability. Would also need more card draw though it would be a good idea to run Edric somewhere in the list. Prime Speaker Zegana – While Edric focuses more on weenies Prime Speaker Zegana goes the other direction with card drawing and focuses more on fatties that can get Zegana to trigger for big card draw. This will be a slower more midrange or control strategy but keeps both colors the same and plays into Simic’s strengths of drawing tons of cards and ramping like crazy. 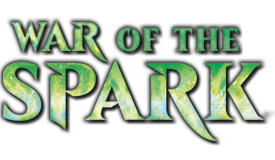 Momir Vig, Simic Visionary – One direction you can go with this deck focuses on lots of cheap mana elves to power out Momir early then a handful of cards (Sleight of Mind and co) that hack Momir’s draw ability so that it triggers on green. This allows you to use Momir similar to Glimpse of Nature and with the tutor ability you can go nuts with Heritage Druid and friends to cast most of you deck. d0su has a very cool deck floating around somewhere which is the first time I’ve seen this style of Momir. Other swarm strategies can also be similar in that they’re trying to flood the board with small creatures then use this to their advantage, often by pumping them and sending them into the redzone. Card advantage will have to come from other sources and will likely want to use other colors, namely white, as blue doesn’t have a lot of options for swarm support. 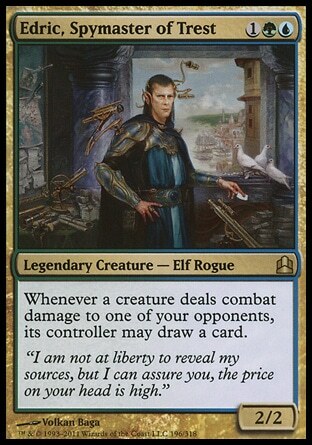 Examples of this are Ezuri, Renegade Leader for an elfball style of deck or something with more of a token focus such as my Rhys the Redeemed deck which I’ve written a primer on. Most Bant commanders could also work even if they don’t support tokens directly as there is plenty of support in those colors. Arbor Elf/Elvish Mystic/Fyndhorn Elves/Llanowar Elves - Our mana dorks. These guys enable turn 2 Edric and provide a body to swing once he's been dropped. Arbor Elf is the best because it can untap Tropical Island and Breeding Pool to essentially produce U. Notably Birds of Paradise can't beat down so it's not included. Cloud Pirates/Cloud Sprite/Flying Men/Galerider Sliver/Hypnotic Siren/Jace's Phantasm/Scryb Sprites/Zephyr Sprite/Faerie Miscreant - Our 1/1 flying army. These guys all provide great evasion to make sure Edric triggers. 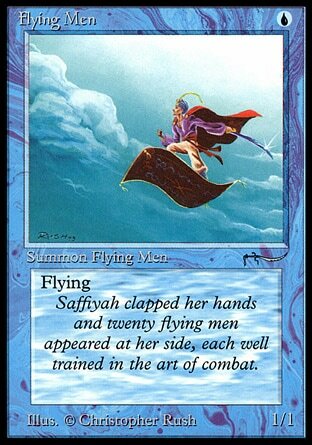 Some have minor upsides or downsides but these cards are all played because they fly and can swing for damage. Galerider Sliver can give Mothdust Changeling flying, though I suppose any creature can do that. Faerie Miscreant is a rogue for Notorious Throng. Cloudfin Raptor - This is basically a 1/2 flier though he could be as large as 2/3! Cursecatcher - Offers some protection from spot removal and sweepers however he does not have evasion. Gudul Lurker - Unblockable 1/1 salamander. You can cast him for his morph cost with surplus Gaea's Cradle mana. Martyr of Frost - Beater + disruption. Blue is our heaviest color so you should have some cards to reveal. 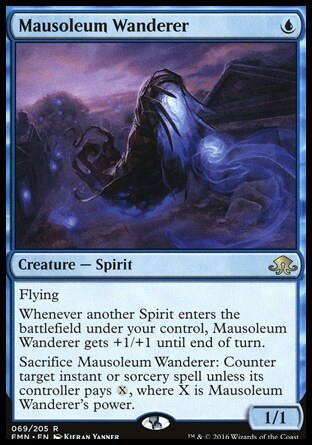 Mausoleum Wanderer - This guy gets his own listing since he's so ridiculous. He's a flying Cursecatcher that costs half of Spiketail Hatchling. Basically it's significantly better than 2 of the best cards in the deck. Merfolk Spy - Islandwalk is pretty solid evasion and this guy is also a rogue to turn on Notorious Throng. I've never had the reveal ability do anything useful but it's better than nothing I guess. Mothdust Changeling - A potential flier that is also a rogue sliver elf faerie for any tribal synergy we might have. Sakura-Tribe Scout/Skyshroud Ranger - These both enable turn 2 Edric and provide bodies to swing afterward. Once Edric is in play it's often best to attack. Spire Tracer/Treetop Scout - Not quite flying but since we're more concerned about attacking than blocking these guys do fine. Sylvan Safekeeper - A crucial piece of defense and one of the few cards other than Dryad Arbor worth using Green Sun's Zenith for. It's often not necessary to sac lands as most of the time people won't aim spot removal at your creatures with this guy in play. Triton Shorestalker - Completely unblockable is the best evasion and even better he's a rogue to turn on Notorious Throng. Wingcrafter - Essentially a 1/1 flier that can make another creature, often Edric, a flier as well. Wirewood Symbiote - Offers great protection for Edric and the untap ability can be randomly useful sometimes, Priest of Titania being the best to untap. Cloud of Faeries - Evasive flier that costs no mana. It can untap Gaea's Cradle. Eladamri, Lord of Leaves - Gives Edric evasion and protection. There are quite a few elves in the deck that benefit from him as well. Lotus Cobra - I run all the fetches so while the cobra is a little high on the curve he can still produce 1-2 mana which helps get you to Time Warp mana quicker. Priest of Titania - This deck plays a lot of elves so this gal produces quite a bit of mana. She'll often make more G than you can spend in a turn. Don't forget she works off your opponent's elves as well. Spellstutter Sprite - An evasive flier, able to counter cheap spells such as spot removal and sometimes you need to hold up mana for hard counters and nobody casts anything threatening so you can flash it in EOT to build your board. Quite a few of the evasion creatures we run also happen to be faeries. Solid card overall. Spiketail Hatchling - Doesn't seem like much but the hatchling is a great card for us. Pushing sweepers back a full turn is a really good ability and he allows us to tap out and still be protected. Also a 1/1 flier for Edric triggers. Exploration - Really good card that essentially costs no mana and lets us make double land drops. With the number of cards Edric lets us draw this is a very potent ability. 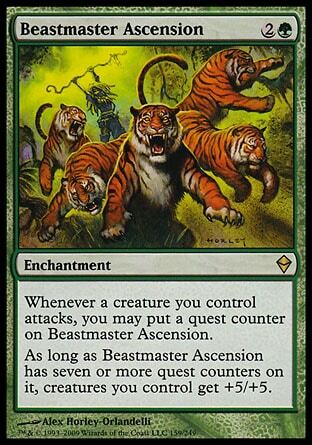 Beastmaster Ascension - Our win condition. This turns all our annoying little evasion creatures into giant monsters of destruction. For spectacular wins drop this the turn after you prowl Notorious Throng. Chain of Vapor - This deck is extremely removal light so if you need an artifact or enchantment removed this is what you get. It can be useful to bounce your own things to ramp mana or to trigger ETB abilities again and it will often not be worth it for your opponent to sac a land because you can either give Edric shroud or just cast him again for 3 mana. Crop Rotation - Get's Gaea's Cradle. If you don't have a Gaea's Cradle there's no reason to play this. 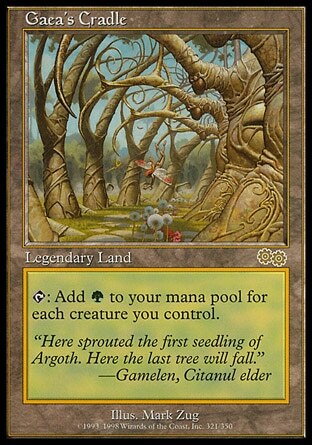 It can also get Dryad Arbor if needed or turn a forest into a dual land. 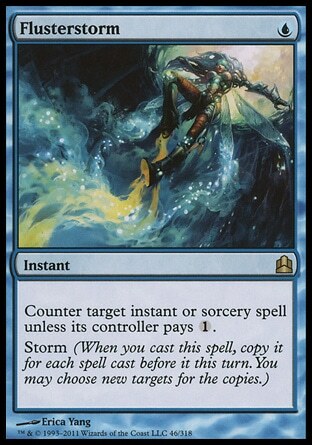 Flusterstorm - We're mostly concerned about sweepers and spot removal so this hits the most problematic cards for us and is difficult to counter effectively. Mental Misstep - This is intended as a more proactive counter to help keep people off their Sol Ring/Mana Vault. It's also great against many commonly play spot removal which grants Edric some protection if he gets dropped early. Mystical Tutor - This will most often serve as an extra copy of a Time Warp, typically Notorious Throng. You could also use it to grab disruption. Also if you have a bunch of Edric triggers on the stack just resolve them 1 by 1. If you happen to draw Mystical Tutor you can wait until the last trigger is on the stack then grab what you need and draw it right then. Spell Pierce - Stops most sweepers and spot removal. Arcane Denial - Easy to cast hard counter is great. It can help them dig for an answer but I've found the drawback to be pretty small. 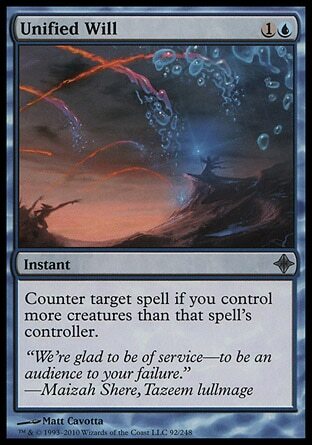 Counterspell - A true classic. Still says "no" today just as well as it did when it was first printed. Daze - Potentially free counterspell. Gets worse as the game gets long but we're trying to prevent that from happening. Delay - If the spell unsuspends you probably weren't going to win anyways so this is functionally a hard counter most of the time. Mana Drain - Another copy of Counterspell that can help you play early Time Warps. Mana Leak - Hopefully your opponent doesn't have 3 mana sitting around collecting dust. If not this is a great counter. Negate - Sweepers and spot removal are stopped just fine and that's what we need our counters to do. Snap - Free creature removal. Unified Will - This card is pretty awful in any other deck. In this deck however you'll vomit creatures faster than a dedicated token deck. If you don't have the most creatures in play something has gone seriously wrong. Unsubstantiate - This is an out to Volcanic Fallout and Supreme Verdict. Not a hard counter but could buy you an important turn. Wrap in Vigor - This is mainly to combat Supreme Verdict and Abrupt Decay but it can also handle things that slip through defenses like Ratchet Bomb. We can use our other counters for the things it doesn't stop. Force of Will - This deck draws tons of cards so you should have something to pitch. Offers fantastic protection for Edric or helps you force a Time Warp through. Chrome Mox - One of the best cards in the deck. It enables explosive starts and drops for free after you've drawn a bunch of cards with Edric. Can be bounced with Chain of Vapor to make a mana. Try to imprint a blue spell if possible. Very important card. Lotus Petal - This is much less important but still helps do the things that Chrome Mox does. Mana Crypt - Not terribly exciting as the deck is extremely color intensive but it can let you drop Edric and it's good for casting early Time Warps. 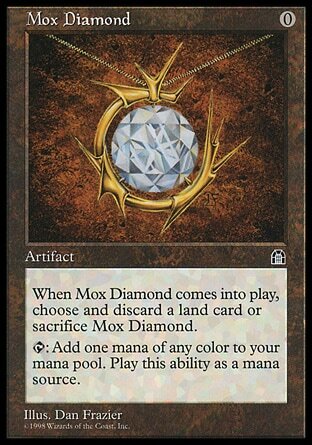 Mox Diamond - Same as Chrome Mox, very important for explosive starts. Producing both colors of mana is good too. Winter Orb - No Armageddon so we'll just run this instead. Great with mana dorks and the little bit of artifact mana we run. Slows us down but should slow our opponents down more. Great with Tangle Wire. Tangle Wire - Solid disruption that can slow people down while we build our board and get set up to chain Time Warps. Great with Winter Orb. In case you've not played with Tangle Wire before it's important to know how it works. During your upkeep it will have 2 different triggers, one to tap things and one to remove a counter. You want to stack the tap things trigger first, then the remove a counter. These will go off in reverse order so first you'll remove a counter, then you tap for the remaining counters. This means on your first upkeep you should tap 3 things. One of those things will be Tangle Wire so you just need to tap 2 more things. Notorious Throng - The goal is to prowl this out which will give you a bunch of creatures and an extra turn. Edric, Spymaster of Trest is a rogue and there are some other rogues in the deck as well. If you have a rogue this is probably what you want to grab with Mystical Tutor. Temporal Manipulation/Time Warp - Generic extra turn cards. Time Warp targets so watch out for target changing effects. Walk the Aeons - by the time you hit 6 mana it's not unreasonable to have 3 islands you don't need any more. While this is usually worse than Time Warp there are instances where it's better. If you have Edric and an Exploration effect in play it's possible to chain it multiple times. Green Sun's Zenith - This is the only creature tutor so use it wisely. Getting Dryad Arbor with it is wise. Sometimes you already have Dryad Arbor so you can get protection for Edric with Sylvan Safekeeper, Wirewood Symbiote or Eladamri, Lord of Leaves. You can get weenies or mana dorks if you want but I don't do that very often. Breeding Pool/Tropical Island - These are the main targets for fetchlands and can be untapped by Arbor Elf. Best fixing we have. City of Brass/Mana Confluence - Fixing is way more important than the small life loss. Command Tower - Fixing for both colors and always works. Dryad Arbor - Being a forest makes it a target for fetchlands and being green makes it a target for Green Sun's Zenith. Sometimes you don't need the mana so you can just drop it as a random beater. Exotic Orchard - Trying it's best to fix mana. Might not work turn 1 but should get you at least one of your colors. Flooded Grove - The timing is pretty important on this one since you need to tap another land to get it to produce colored mana. For example if you have 4 land, a 2cc spell to cast during main phase and 2 1cc spells and 1 2cc spells you want to hold mana up for make sure to tap your Flooded Grove to cast the 2cc spell during your main phase. Basically you usually want to tap this first unless you have a reason not to. Flooded Strand/Polluted Delta/Scalding Tarn/Verdant Catacombs/Windswept Heath/Wooded Foothills - Off color fetches. Not very flavorful but mana fixing is critical so we can use their help. All fetch Tropical Island and half get Dryad Arbor. Gaea's Cradle - This card is really insane since we vomit creatures so fast. Often it will tap for more G than you can spend. It's the reason to run Crop Rotation and the reason to drop blue sources over green sources if possible. Normally a great card but this deck really breaks it. Gemstone Caverns - On the play or as a topdeck this is terrible however the explosiveness it can give you can't be ignored. Definitely worth it's deck slot. Hinterland Harbor - The check or buddy land. Don't play it turn 1 but after that it should ETB untapped. Misty Rainforest - On color fetchland. Powerful and a win for flavor. Reflecting Pool - Not a fixer turn 1 but should be fine turn 2+. Tarnished Citadel - Yes fixing is so important that I'm will to Lightning Bolt myself every turn. Thran Quarry - I know the drawback makes this seem like a gamble but if you don't have creatures in play you're not winning. Yavimaya Coast - Damage is pretty minor but this plays like City of Brass most of the time. Being that our gameplan is to explode early your opening hand is very important. You can also mulligan fairly aggressively as the deck can recover the lost cards pretty easily. A 3 card hand of Island, Forest, Llanowar Elves can still threaten to kill a table on your turn 5-6 if you draw well to give you an idea. Our main enablers for explosive starts are Chrome Mox, Mox Diamond, Exploration, Gemstone Caverns and to a lesser extent Elvish Pioneer. Note that Mana Crypt is not included because it's not very good early, it's best use is to cast early Time Warps which is your late game. You won't always start the game with one of these cards but they're very good early on. 1cc Mana Dorks can fill in for these cards and the deck has a lot of them. The second thing you want is to be able to produce both colors of mana but as long as you can cast Edric when you want you don't need very many land as Edric should draw you into more land. If you cannot then you may not be able to drop Edric when you want and you will probably lose. Third you need weenies, these are critical to success. Fortunately this deck is filled with them. A counterspell can be nice, especially a free one to protect Edric, but it's not required and you usually don't want multiples since they take away from the things that you must have early. So to recap, mana accel listed above is ideal, you must have access to both colors early and you'll need weenies to start the draw engine. For us this is turn 1-2. Ideally we want Edric in play by the end of the early game along with a creature or 3. The early mana accel listed in the opening hand section is helpful but even a simple mana dork like Elvish Mystic can make this happen. There are times where it's best to save Edric for the mid game if you suspect he'll get killed immediately and you have no protection. If that's the case simply try to build up your mana and develop your board until you can drop him with protection. This would also be about the only time you should get something other than Dryad Arbor with Green Sun's Zenith. Typical choice is Sylvan Safekeeper but Wirewood Symbiote, or if you have the mana, Eladamri, Lord of Leaves are options. In the end though this deck relies on speed and you will sometimes just have to take risks. This will be your turn 3-4. Hopefully Edric has not met an untimely end so you can start your card advantage engine. It's a good idea not to play a land before attacking as you could potentially draw Gaea's Cradle and will probably want to play that instead. If you're able to get an early Time Warp during this stage of the game that's ideal but often passing the turn with mana to cast counters will be good enough. You'll want to drop more creatures when you can but make sure to hold up mana for counters since this is about the time sweepers start to come online and you absolutely must counter sweepers. If Edric has been killed your main priority is getting him back in play. Outside of a few cards which produce a lot of mana Edric is pretty hard to cast once he costs 7 so at this point you may want to wait a turn so you can protect him. Turn 5+. So people are still alive? That's not very good for you. Our late game is terrible so you need to try and secure victory quickly. You should have far more mana than you need at this point so vomit your hand, get Edric in play if he's not and dig for Time Warps. Try not to get to this stage if possible. Despite being filled with terrible cards this deck is very powerful and intended for more competitive playgroups. In undeveloped and especially unprepared metas the deck tends to dominate as it will likely be much faster than what your opponents are playing and also prepared for the limited amount of hate they throw your way. Here are some of the deck’s strengths. Consistency – Because the deck is filled with redundant cards most games will play out similarly: Rush Edric into play, draw cards, Time Warps FTW. It mulligans very well for the same reason. Speed – This deck is also very fast and can reasonably expect to be closing out games on your turn 4 or 5 if not disrupted, with turn 3 certainly being a possibility as well (I’ve had quite a few games that were effectively over by the end of my 3rd turn). Also the cards that enable explosive starts can set up some pretty ridiculous god hands that are extremely difficult for any deck to beat. I believe bobthefunny has matched me on this but my current record for most permanents in play on turn 1 is 6, which is a lot of permanents to have in play that early! Good control matchup – This deck builds up board presence and threatens to take over games so quickly it can be very difficult for control to manage. We’re faster, more consistent and will bury them in card and mana advantage. All the cheap counters are also very troubling for them. This deck will likely require that control decks be running specific answers and tutor for them immediately. Cheap counterspells – Because of the speed of the deck and that we don’t care too much what our opponents are doing outside of trying to interact with our board we can play a lot of cheap counterspells that aren’t very good in other decks because of how narrow they are. This creates a lot of problems for combo decks and other decks that are also trying to win quickly as well as providing protection for Edric. Uniqueness – To veterans of the format that haven’t seen it before this deck probably seems odd and it’s likely that your opponents won’t have a good idea what you’re up to the first time you play this deck. Additionally because many of the cards are so bad you will draw less hate than you probably should. Who really wants to gang up on the strange deck playing Scryb Sprites? The typical solution to solve the deck's weaknesses is to counter whatever the problem is or give Edric shroud. If something is played that doesn't care about either of these things, such as Volcanic Fallout, you'll probably lose. Spot removal - Since the deck relies on being so fast having Edric hit with spot removal can really set you back on tempo. The biggest issue is cheap spot removal like Swords to Plowshares and Go for the Throat which can be difficult to play around, with Abrupt Decay being especially troublesome. In situations where you suspect people have cheap removal it's best to slow roll Edric a bit until you can give him shroud or protect him with counterspells. Wirewood Symbiote and Eladamri, Lord of Leaves can also help protect Edric. Sweepers - Since the deck tends to overextend with creatures spells like Wrath of God will wipe almost our entire board. These need to be countered if at all possible. The biggest problem is Supreme Verdict but Volcanic Fallout and cycled Decree of Pain will also ruin our day. There's also some cheap ones that are specifically good against us (Ratchet Bomb, Engineered Explosives and things like Pyroclasm). One nice trick is to use Chain of Vapor to save important creatures at the cost of some land. Cards that prevent us from drawing cards - Not a lot of cards in this category but this would be things like Chains of Mephistopheles & Maralen of the Mornsong. Underworld Dreams is similar but more manageable. You definitely don't want Notion Thief in play. Sol Ring & Mana Crypt - We're playing a deck that relies on speed so these artifacts are a problem because of the powerful acceleration they provide. We don't want our opponents on 4 mana turn 2 because their deck plays much more powerful spells than ours does and this allows them to cast those spells sooner. Propaganda and co. - We're trying to swarm the board and these create serious problems for us. Gaea's Cradle and Priest of Titania can mitigate this but that's not really what we want to be dumping mana into. Tuck spells - If Edric is tucked you'll almost certainly lose so try not to let him get tucked. You have Green Sun's Zenith as your only tutor and no card draw. - Thanks RC! Glacial Chasm - Seriously good luck beating this card. You don't need to look, I don't play any answers in my deck. The Tabernacle at Pendrell Vale - Gaea's Cradle helps immensely but aside from that this card is a serious problem and lands are extremely hard for us to deal with (I play no answers in my deck but you could run something like Hoodwink or Strip Mine if you felt it was necessary). Chalice of the Void - Chalice set to 1 is nearly unbeatable, only options are 2 mana bounce spells such as Boomerang and Hoodwink or you could play good old Naturalize if you wanted but since the card is run rarely I wouldn't be overly concerned. The fine folks at WOTC were kind enough to feature this deck in one of their Daily Deck List articles found here. Cutting control cards for fast mana, mana fixing and cheap beaters to improve the speed of the deck. Cutting more control cards. Azusa isn't bad but at that mana cost I want to be casting Edric. Added in more weenies, some counterspells & a finisher in Triumph of the Hordes. Aether Vial proved to be too slow. We want to be attacking with creatures so Earthcraft and Skullclamp are out. Caller of the Claw doesn't save Edric which is a big downside. Triumph was removed in favor of Walk the Aeons which should prove to be a better finisher. The additions offer more protection for Edric as well as a way to recur Time Warps and a big mana producer in Priest of Titania. The recursion spells were not really needed, Boreal Druid and Joraga Treespeaker don't produce the right type of mana and some more control cards were cut. It's hard to get to 5 lands to get the most out of Treachery. Added weenies and counterspells. The 3 mana creatures cost too much and I really don't need colorless mana. Added in some cheap disruption, the interesting Gemstone Caverns and trying out Spellstutter Sprite and Plaxmanta as flash creatures. Adding Lotus Petal back in along with better fixing and a Mana Drain. Trying out Winter Orb over Null Rod for disruption and Forbid costs too much mana so I'm adding in Noxious Revival for some Time Warp recursion. I Wonder why I didn't cut you sooner? Added one mana evasion creatures over a non-evasion creature and Noxious Revival which is mostly filler. 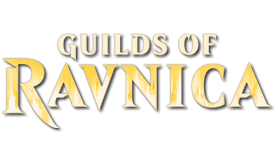 The landwalkers can sometimes be unreliable so they've been cut in favor of creatures with more reliable evasion and of course more Llanowar Elves are always welcome. Forgot to list my Gudul Lurker and Faerie Miscreant but they simply upgraded worse evasion creatures. Mental Misstep over Submerge to combat Sol Ring/Mana Vault and STP. It's more proactive than my other counters so I felt the Submerge swap was appropriate. 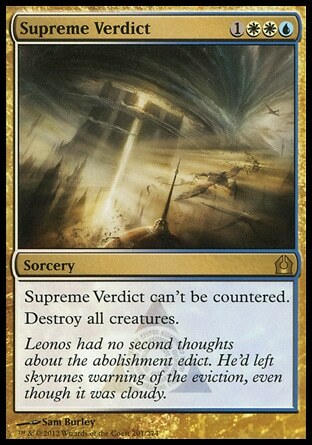 Wrap in Vigor to help against Supreme Verdict and Abrupt Decay. Wanderer is insane in this deck and Unsubstantiate is being bround in to help against uncounterable spells. Veil of Birds is my weakest flyer and Unsubstantiate can also fill in for Snap. Here's a list of the contributors to the deck and what they contributed. This will include some stuff that got added then cut, fringe stuff and some individual card suggestions. You'll notice tedv and Wildfire393 come up a lot which makes sense since this initial list was a mashup of their early lists and many of the ideas and cards stuck around. Big thanks to tedv, ISBPathfinder, Drama Turtle, bobthefunny and everyone else who helped me work on the list. ISBPathfinder was kind enough to write up a strategy section since I was too lazy to do it myself for my own thread. This was done years ago and has become quite outdated but it's a piece of history for the deck and I've decided to archive it here. Edric is a hyper aggressive form of aggro in commander. 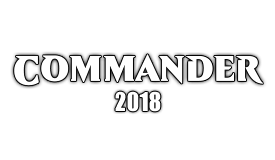 Due to the card drawing power of the commander we are able to shrink our average cost per card so far down that dropping one mana evasive creatures becomes our primary wincon. The idea behind Edric is to drop a bunch of 1 drop guys in the first two turns and then drop Edric in to draw a bunch of cards. Once Edric is online continue to swing in and draw cards while keeping countermagic up to protect your board. This is the core strategy of the deck. Most everything beyond that would fall into some sort of utility area. There are other parts of the deck but most everything falls into one of those categories. Turn 1: Generally speaking try to drop any sort of accelerant that you might have first. 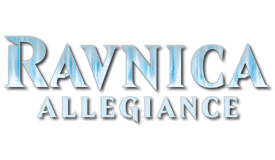 If you have a Llanowar Elves, Elvish Pioneer, Chrome Mox, or Exploration lead off with them. Some of these effects allow you to continue playing and hopefully get a second spell off in your first turn. Turn 2: If you managed to get a creature or two into play on turn one and can afford to play Edric and still get an attack in then dropping Edric is priority. If on the other hand you would have to tap your only creatures down to drop Edric then you are better off dropping as many more creatures into play as possible. It is better to get more creatures into play on this turn than it is to get Edric and not be able to attack. Turn 3: Drop Edric in. It is rare for there to be something better to do on this turn. If you have some sort of defensive card and expect a retaliation on playing Edric then I suppose you can pass up on dropping him for a turn. If you can manage to do something like drop and flip Erayo, Soratami Ascendant in the same turn early on then that almost always takes priority instead. Otherwise drop Edric into play and do some card drawing. This is the turn that will leave you the most open generally speaking. If nobody ansers you in this one turn window then the game is usually yours. However even this said it usually isnt worth playing defensively with Edric as the longer the game goes on the more likelihood someone else will take it from you. Get going as soon as you can. Turn 4: Assuming Edric stuck with you through the turn then from here on lead with your attack and see how you draw. If you want to do this part properly you should almost always draw your cards one at a time so that you can respond before drawing the last card and use things like Mystical Tutor if drawn before you draw your last card. 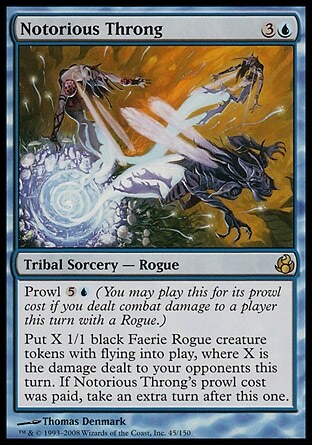 From here drop in threats and try to keep up 1-2 counterspells worth of mana or bluff the counter if you don't have one. Sometimes people would rather have a blocker than eat up a whole turn to have you counter their wrath. You always want to draw every card that you can off of Edric's card draw. You can always drop some cards into play and dump the land at the end of turn. Generally speaking I try to hold onto counterspells and wincons such as extra turns / beastmasters in hand. Drop the low mana creatures into play and ditch the more expensive creatures / lands at end of turn. If a creature costs too much mana and would require you to ditch several faster evasive guys into your graveyard to play he usually isn't worth it. Looks hilarious. I haven't heard of a lot of these cards so I've enjoyed looking up a few of them. Spiketail Hatchling is awesome. I love the artifact hate- I think it makes perfect sense in this build and you are sure to pull the rug out from under a lot of players. It's unfortunate it keeps you from running Thada Adel properly because she's such a fantastic prowl enabler. The deck is just oozing with synergy and understated power plays. 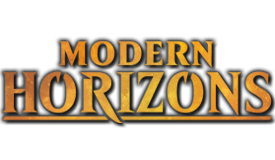 I have a feeling Notorious Throng is going to seal up a lot of games. I can't think of much to add right now but perhaps later I will. The only think I think you could use more of is protection for your general but his ability sort of protects himself anyway. And just one other thing: Are you completely dead to a resolved Elesh Norn? I guess that's what Foil and Force of Will are for but it was just something that occurred to me when I realized you aren't playing any anthem effects (which you may well not need). I've also had a lot of trouble with Elesh Norn, though I did win a match where she entered place two or three times. Having enough continuous pump effects is the solution. Joraga Warcaller was an all-star for me in that game, since kicking him up to 4 counters helped me keep Edric in play (and by extension, half of the other creatures in the deck). I think there's a lot of value in focusing on elves as a tribe, and playing all the elf pump creatures-- Elvish Archdruid, Imperious Perfect, Elvish Champion, Joraga Warcaller. And of course, Eldrazi Monument and Beastmaster's Ascension are no-brainer includes. I haven't yet decided if Coat of Arms is worth the risk but it could be. The problem with defining [EDH] by what is "fun" is that everyone seems to define fun as what they don't lose to. If you keep losing to easily answered cards, that means you should improve your deck. If you don't want to improve your deck, then you should come to peace with the idea that you are going to lose because you chose to not interact with better strategies. I've thought a lot about pushing the tribal elf theme but my concern is that it would lead me to including more and more elves as I tuned the list pushing the deck more in an elfball direction until I ended up with something similar to dOsus Momir Vig list. This general is certainly well suited for that style of deck and I'm not claiming it's not the optimal route to take just that I'd like to keep this deck as tribal free as possible and use a more generic build. Beastmaster's Ascension looks great for this deck so I'll kick out Commandeer for it since it doesn't even stop sweepers. Eldrazi Monument was really underwhelming in my Rhys list being both impossible to tutor up and relatively easy to destroy. Since this deck is also focused on mass artifact destruction I am going to pass on this for now. I looked over his deck list and I'm running less than 40% of the elves he's running, plus I have a number he's omitted. In the Momir Vig deck, you want every elf you can find that produces mana. In Edric, you only want 1 drop mana producers, and a focus on evasion. Elvish Pioneer and Treetop Scout are amazing with Edric but worthless for Momir Vig, for example. I found Bloom Tender to be too slow for Edric as well, and even cut Rofellos. But Imperious Perfect made the cut. Just because they're playing elves doesn't mean they're that similar. I'm not sure what to think about the Monument as I haven't drawn it that much, but the one time I did draw it, it won me the game. However, my listing has about twice as many counters as you have. The basic idea is to start drawing cards and then counter anything that will wreck your board position. Let everything else through. I also have significantly more mana production than you. A lot of my deck is built around abusing Gaea's Cradle (which this deck has convinced me needs to be banned). I have stuff like Frantic Search, Snap, and Cloud of Faeries to untap it and generate mana. So it's easy to drop Eldrazi Monument and actually have mana left to protect it. That probably wasn't a very clear example, just the first one I thought of. I meant more pushing the deck in a tribal direction not that our strategies would be at all similar. Treetop Scout is probably amazing in your deck because not only is he an evasive 1 mana creature he is also an elf but the way my deck is currently set up I would rather play Scryb Sprites in that slot because without other elves matter cards it is very close to strictly better. So stand alone elves are fine but I don't want cards that rely on other elves to be better than non-elf options. To be fair Monument is probably much better here than in the token deck I played it in because it provides much needed evasion and with all the card drawing this deck has available not being able to tutor it up is less of a concern since you are much more likely to draw into it. I'd still like to keep my artifact hate theme in the deck so I'm going to look into other pump options first. As far as counterspells are concerned I could certainly see adding in some cheap options like Arcane Denial to help protect against sweepers. How much mana accel to include was a big question for me when I made this list and I'm sure it's not quite right how it is. My thinking is that cards like Exploration, Burgeoning, Azusa and Oracle of Mul Daya will be stellar because of all the card drawing this deck will do so I should focus on those over straight ramp cards like Wood Elves. With the artifact hate theme I can't really run a bunch of mana rocks and many of the best creatures that produce multiple mana are elf related. God I think I like your list enough to scalp most of it off of you I just couldn't come up with a list of my own that I liked until I saw yours. Have you considered running a finisher like Triumph of the Hordes? It costs somewhat of low mana and it kills very easily. God I love the list. Have you considered splashing Sunder in there to seal the deal? Also... no love for Gilded Drake??? Seems like a good low mana guy who can steal your opponents better stuff as they churn it out. What would you say to Mimic Vat and Crystal Shard? Then again, my list doesn't have such a strong artifact hate package so those my not work out so well for you. Gilded Drake is also very good. I'm also unsure of the elf package. I'm currently testing my list without one, but I'm interested in knowing how it's been working out for you, tedv. Very nice list Donald; it is quite similar to mine. I have come to mostly the same conclusions that you have but my list differs in a few ways. I may post the list sometime soon. I'll try to get a list posted. As far as Treetop Scout goes, I'm also running Scryb Sprites, Flying Men, Zephyr Sprite, and a few others. Shanodin Dryads are also in, though I might cut them. One mana evasive creatures are just amazing, but being an elf makes it even better. I really wanted to play Oracle of Mul Daya and Azusa. Both were in my original list. In the end I cut them because I couldn't afford to pay 3 or 4 mana for a non-evasive creature. I have seen energy flux stop the whole table from playing artifact acceleration. Might be good here. Thank You Rivenor/Miraculous Recovery Studios! I'd rather just solve the problem with Null Rod. It was on my list too but didn't quite make the cut. I'd be willing to throw in the 1 mana evasive creatures. It looks like there are 6 of them: Cloud Pirates, Cloud Sprite, Flying Men, Scryb Sprites, Treetop Scout & Zephyr Sprite. There are also several landwalk guys but those don't seem as good. Sakashima can go, Oracle of Mul Daya is the worst land ramper and I'd rather just run Exploration anyways, Vigor becomes weaker if the focus is more on evasive creatures and I've never been happy with Teferi even in creature heavy decks plus his casting cost is awkward. That still leaves me needing 2 cuts assuming I use all 6. Anyone have suggestions for cuts? I'd also like to add in Exploration and Arcane Denial. Primeval Titan I know crazy talk right. But honestly we dont need to ramp very big in this deck. Getting a good early game is much more important and he can really clog up an opening hand. He is only one threat and people tend to freak out over him. Considering how he isnt even really needed in here I sort of wonder if you are better off with a 1 drop that will draw you cards and do some damage. Spike Weaver isnt the point of your commander to encourage people to attack elsewhere? I know you are a fan of him but he is slow rolling and falls prone to your already existing weakness of wrath spells. He isnt that big of a threat for attacking either. I'd be perfectly fine cutting Primeval Titan, I almost added him onto the list of cuts already. Spike Weaver gives me a fog option on a dude and my thinking is that some of the token decks would be a problem for me if they were able to go crazy with card drawing. I'm not really attached to him though so he's a possibility. EDIT: That seems really strange that Scyrb Sprites > Primeval Titan for this deck. I've had great success with Exploration, Arcane Denial, and Mox Diamond. As far as cuts go, I'd probably trim the 2 mana evasive creatures. There's really no reason to play River Boa and Looter-il Kor until you have every single Jukai Messenger and Zodiac Rabbit you can find. I can't remember the last game I played where no one had a forest in play. I would also cut any creature that's 4+ mana and not completely broken in some way. I can understand Sower of Temptation-- he's two creatures in one. But Molder Slug? Acidic Slime? Sorry, these don't make the cut. They don't swing for cards often enough and this isn't a board control deck. I can't even find room for Trygon Predator in my deck, but at least he flies and Molder Slug doesn't. Basically slash down the mana curve and rely on card throughput to win the game for you. I tried Foil and hated it by the way. Cards are cheap in this deck but they aren't free, and the cost to cast Foil is enormous. Plus there aren't that many islands to discard. I agree with lowering the curve. Also... is there a contingency plan if someone happens to Hinder Edric??? It seems like there are very very few creature tutors and I sort of worry about trying to drop 1/1 flyers with no engine to back them. 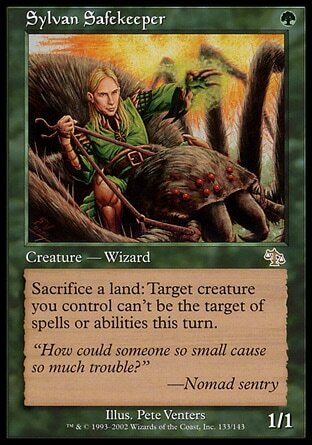 Any thought on Nature's Resurgence as an emergency card draw if Edric gets tucked or something of the sort? It should draw us a ton of cards. I played Coastal Piracy as my backup plan, but in general found it just wasn't worth it. The contingency plan against tucking is to play counterspells and give Edric Shroud with Kira, Lightning Greaves, or Eladamri. well... there is always the option of running some green tutors as well. I think Green Sun and worldly tutor are worth it at the very least. Any thoughts on replacing either Seeds of Innocence or Creeping Corrosion with Nullmage Shepherd? It changes a noncreature to a creature and it allows you to hit enchantments as well as target the ones you want to hit. Is it too slow? Sunder - As a playgroup we are making an effort to move away from running so much mass LD. While not frowned upon like infinite combos it was getting to the point where lands were getting nuked almost every game and sometimes even multiple times per game. Gilded Drake - I love Gilded Drake as a card but I like it more in a deck that runs a good amount of bounce effects. As a stand alone card I think he is merely decent however is someone can make a convincing argument I could run him over Treachery. Mimic Vat/Crystal Shard - Both great cards but with Eternal Witness and Time Walks already in the deck I'm going to pass on them for now. Also both artifacts and I'm going to keep in the artifact hate. Regrowths - In a fully optimized deck that I'd bring to PTQ side events these would certainly make the cut. However extra turn cards are somewhat frowned upon but not to the point it will cause problems. Taking 3 straight turns however is not something people would be happy with. Our games already take a long time since we have several very slow players and nobody wants to watch me play Magic by myself. What are everyone's thoughts on Spore Frog? I'd still like to run a fog on a creature to prevent my opponents from drawing cards but without Genesis it is probably too weak. EDIT: I think Nullmage Shepherd is great but in this deck it will tie up the creatures too much. I guess I have to ask the question... Is it worth running Spell Crumple over a smaller mana counter such as Counterspell, Force Spike or Spell Pierce? This deck runs out very quickly and my thoughts are that it could be better to keep your counters for wraths and game wreckers rather than someones commander. this just isnt the deck to run the control outlet. I guess Spell Crumple is still good if you expect your opponents to recur all of their stuff though. Still I think you might want to consider a smaller counter in its place. Spore Frog, hummm.... he has no evasion which I do not like but even then... it is a 1 drop and the likelihood of just swinging him at the open board seems quite good still. I agree without genesis it is hard to abuse him but most of the creatures in this deck being 1-2 mana drops sort of speaks for how much abuse we plan on getting out of the creatures. I think as a one drop that can deprive opponents of card draw he is still somewhat solid. To be honest though... if you are looking for 1 drop guys to connect to opponents we already have tons that are better. But to be honest while we are on the subject of trying to deny opponents of huge card draw... What do you think of adding like a High Market for the deck? You could keep the option of sacing Edric to stall out someone drawing really really big cards with it. They already have to attack an opponent if they want the cards so you wait to see where the token swarm is going then sac Edric to stop the card draw. Also it could help prevent some targeted tuck on Edric which seems like it could seriously hurt the deck. EDIT: what do you think of Green Sun's Zenith in here? It works to help protect yourself somewhat vs tuck effects and paying 1 extra mana for your guys isnt that big of a pain. Also, what do you think of replacing Phyrexian Metamorph with the new M12 illusion clone Phantasmal Image? The 2 mana to drop him in seems incredibly solid. I suppose Metamorph is only 1 extra mana if you are willing to pitch 2 life to him but I figure I would like to know your opinion of it anyways. I tend to clone commanders a lot and for that purpose the image is better. I guess I have to ask the question... Is it worth running Spell Crumple over a smaller mana counter such as Counterspell or Spell Pierce? This deck runs out very quickly and my thoughts are that it could be better to keep your counters for wraths and game wreckers rather than someones commander. this just isnt the deck to run the control outlet. I guess Spell Crumple is still good if you expect your opponents to recur all of their stuff though. Still I think you might want to consider a smaller counter in its place. Spore Frog, hummm.... he has no evasion which I do not like but even then... it is a 1 drop and the likelihood of just swinging him at the open board seems quite good still. I agree without genesis it is hard to abuse him but most of the creatures in this deck being 1-2 mana drops sort of speaks for how much abuse we plan on getting out of the creatures. I think as a one drop that can deprive opponents of card draw he is still solid. I don't like the inconsistency of spell pierce and in general I prefer unconditional counters. Counterspell is an option, I could replace Hinder with it but in my last order of cards I thought I had ordered 2 Spell Crumples but I ended up with 4 so I've got one lying around. Sac outlets are a great idea! I like that route much more than the fog route. High Market is an option and Teferi's Veil is another interesting card that could be great for this deck. The only thing that concerns me is that this deck really needs to hit both colors very early and enemy fixing isn't that great so the number of colorless producing lands needs to stay as low as possible. EDIT: I also plugged my deck into deckstats to see the breakdown of the deck so you can click here to see what it looks like. EDIT 2: Going over the list I think Mishra's Factory is the most expendable. Doesn't produce colored mana and doesn't have evasion so I'll swap it out with High Market. I honestly find that High Market is probably stronger than Mishra's Factory. I would also suggest you mabe cut back on the comes into play tapped lands a bit. It could really hurt your early game tempo. Riptide Laboratory do you have enough wizards to make this worthwhile??? We just added a ton of little non wizard guys to the 1 mana slot. I dont see that much left worth bouncing. I think you are down to Venser, Shaper Savant and Glen Elendra Archmage as your only 2 targets... I think its time for this to go. Strip Mine I know crazy talk but we are swarming with small guys meaning that we plan to kill opponents quickly and maze effects do very little against our tactic. If you think someone is going to go for cabal coffers and set up for big mana you should probably target them first. Plus keep in mind that nobody else wants them to hit coffers so you can count on other opponents to want to kill it as well. Soaring Seacliff I dont think I am willing to give up a land tapped for flying for a turn. That all seems very reasonable but I don't want to cut Strip Mine because of how problematic some lands can be. If I bump up the number of basics I can run Elvish Pioneer so I think that's what I will do. Wow Night Soil is out hu??? It seems like a really solid rebuild card but I can understand that it has problems in the early game. Any thoughts on Wonder? I had been sort of contemplating how solid of a creature it is. 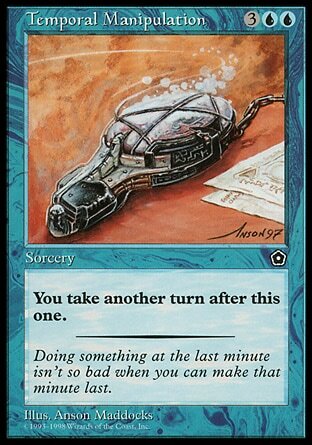 It is a bit slow to use as a beater as it is just a 2/2 flyer for 4 mana. I know it is good when it dies but I sort of like creatures that are good when I drop them for this type of deck. Also do you feel like we might want to look at any more wincons like some sort of Overrun varrient? I only see the Beastmaster Ascension currently on the list. Other than that you are relying on hitting for incriments of 1-2 damage for the most of your deck. Again Eldrazi Monument might be totally amazing in this role. Even if you want to blow out all artifacts on a normal basis, Drop a monument and you probably just win.